Once upon a time when I was a fresh faced debutante in the field of domesticity I went grocery shopping with a friend of mine. I, a Bengali from the Eastern part of India, was setting up my first household in the Southern part of India and she, a local, was still living with her parents. We were both excited about this adult responsibility of choosing the right products for the pantry and we went about the business with the seriousness it deserves. Suddenly as we were checking out the aisles I saw my friend running towards me with a grin on her face and a small jar in her hand. N – she said- “look a jar of tamarind paste. It will be very convinient for you. You will save a lot of time because you will never have to make paste from tamarind pods. I smiled and took the jar from her and started reading the fine print on the label with the eagerness of a discerning buyer while my friend waited for me to thank her for this life saving discovery. After I read everything that I could read I handed back the jar to her and said “It looks good. Do you want to take it? I have little use of it as we Bengalis do not use tamarind in our food.”. Well I was being parsimonious with tbe truth as Bengalis do use tamarind in some of their recipes but I couldn’t resist the temptation of being wicked. Having lived in Southern India for a while by then I was very much in love with food from this part of the country and was acutely aware of the prolific use of tamarind in the cuisine. Hence I wanted to make a point to my friend that tamarind is neither a necessary ingredient in all Indian recipes nor an indispensable item in the kitchen cupboard. The statement had a desired impact on her. She widened her beautiful eyes and said “Really ?”. I answered with matching confidence “really”. To bolster my argument I went on to tell her stories about Bengalis who would come travelling to this part of India armoured with a packet of sugar to – in their words “help us endure the sourness of South Indian food”. I realised I was betraying my fellow Bengali but I was too eager to make my case. All my effort was in vain. She was not in the least convinced that a pantry without tamarind was possible. On the contrary my lack of knowledge in the culinary department was now well established in her mind. “Anyway I think you should buy it”. I refused to budge, no way was I going to spend my hard earned cash on a value added tamarind paste. She went as far as saying “let me buy it for you”. She was really feeling concerned about my well being. As far as I remember I managed to leave the store without the tamarind paste and with my friendship alive though, I am sure, slightly bruised. Today A and I use tamarind in many of our recipes – be it fish, meat or lentils. I have spent many hours of my life making a paste from tamarind pods, vinegar, sugar and secret spices. 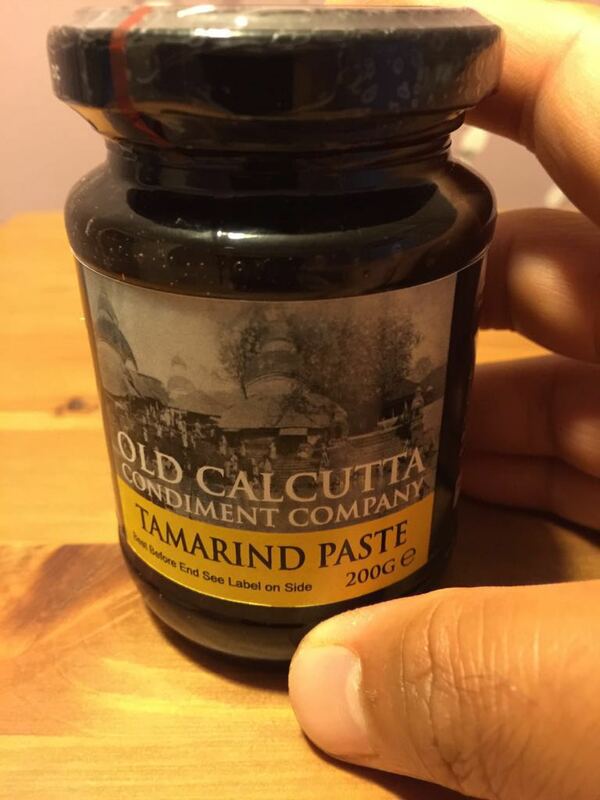 Lately however I have taken my friend’s advice and bought a very nice tamarind paste from a company named after a city in Bengal. The word irony comes to mind. My friend would be happy to know that I have come of age – at last!